We are on a mission to build a wealthy community, and our compensation plan has been designed to do just that! We have a proven system: As long as you use our keys to success, they will unlock every level of the compensation plan and build a long-term residual income. And remember, you're in business FOR yourself but never BY yourself. 1. Product Sales — You will find that our very demonstrable products, patented technologies, clinical studies, and INCREDIBLE prices make it simple for you to maximize on Product Sales! All you need to do is DEMO the product! 2. Preferred Customer Program — Every person you enroll in our Preferred Customer Program is a new source of residual income. Preferred Customers have SEACRET products automatically sent to their homes each month. They receive discount pricing, and you receive a percentage of the volume of each sale! 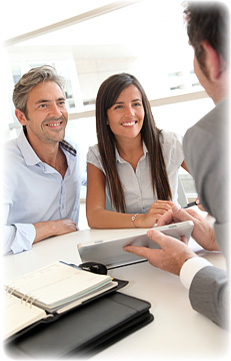 The more Preferred Customers you enroll, the greater your automatic, residual income. 3. Team Commissions — When you enroll two Agents and help them enroll two Agents, you've built a team. Duplicate this process over and over again and watch your volume grow. There is no limit to the size your team can grow. You can earn up to $25,000 per week from this revenue stream alone! 4. Leadership Check Match Program — Qualified Bronze Agents and above are eligible to receive The Leadership Check Match Bonus. This is an unlimited stream of income in the SEACRET Compensation Plan that pays you for simply helping other Agents become successful! 5. Performance Bonuses — Each time you're promoted in the SEACRET System you will earn a one-time Rank Advancement bonus — up to $1 million! Once you achieve the level of Royale, you'll start earning a monthly Drive Your Dream Car Bonus! Get the cash each month and YOU decide what you want to drive! Compensation Plan Get Started Now! 2. Preferred Customer Program — Every person you enroll in our Customer Program is a new source of residual income. VIP/Elite Customers have SEACRET products automatically sent to their homes each month. They receive discount pricing, and you receive a percentage of the volume of each sale! The more VIP/Elite Customers you enroll, the greater your automatic, residual income.